New Delhi Nov 22 - With the successful testing of an air version of BrahMos supersonic cruise missile on Wednesday the Indian Air Force has become the first one in the world to achieve this feat official sources said. The air version of BrahMos missile is a 2.5 tonne supersonic air-to-surface cruise missile with range of more than 400 km. 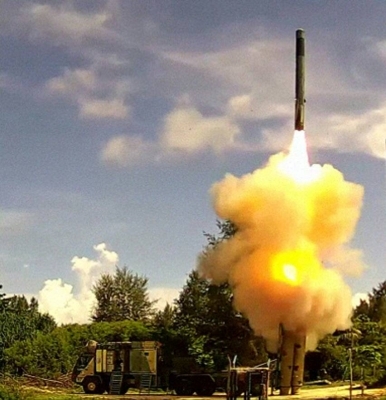 It is a lighter smaller version of a nuclear- capable missile jointly developed by India and Russia. "The IAF is the first air force in the world to have successfully fired an air- launched 2.8 Mach surface attack missile of this category " a statement from the Indian Air Force said. It is lighter than the land and sea versions of the missile which weigh over 3 tonnes. "The capability of the missile coupled with the superlative performance of the Su-30 aircraft gives the IAF a strategic reach and allows it to dominate the ocean and the battlefields " an IAF official said. Sukhoi-30MKI fighter jet from which the BrahMos air version was gravity dropped on a target in the Bay of Bengal has been modified by Hindustan Aeronautics Limited (HAL) to accomplish the task. The Su-30MKI considered the most potent fighter jet with India was the choice for fitting the Brahmos missile having an airframe of titanium and high-strength aluminium alloys fit for a high-speed terrain following profile. The integration on the aircraft was very complex involving mechanical electrical and software modifications on the aircraft. The IAF was involved in the activity from its inception officials said. The software development of the aircraft was undertaken by the IAF engineers while the HAL carried out mechanical and electrical modifications on aircraft. One of the major challenges overcome by scientists of Research Centre Imarat Defence Research and Development Organisation in the missile development was optimisation of transfer alignment of inertial sensors of the missile. 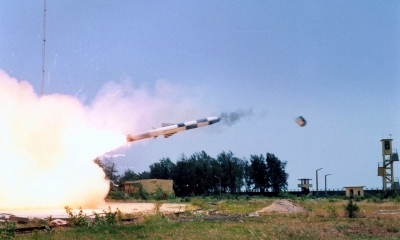 The BrahMos-A missile provides IAF the capability to strike from large stand-off ranges on any target in sea or land with pinpoint accuracy by day or night and in all weather conditions. The Indian Navy also played an active role in the testing ensuring availability of the target and a large number of monitoring ships to ensure range safety clearance. "The rich experience of the IAF flight test crew ensured that the integration was smooth. The dedicated and synergetic efforts of the IAF DRDO BraMos Aerospace Pvt Ltd and HAL have proven the capability of the nation to undertake such complex integrations on its own " the IAF statement said. On Wednesday the missile was fired by the test crew comprising Wg Cdr Prashant Nair and Wg Cdr K.P. Kiran Kumar. The chase aircraft was flown by Gp Capt Badrish N. Athreya and Sqn Ldr Angad Pratap. According to informed sources there have been talks on developing smaller versions of BrahMos for deployment on the Navy s Mig-29s as well as Rafale fighter jets 36 of which are being bought by India under a government-to-government agreement. However a final decision on this is pending. 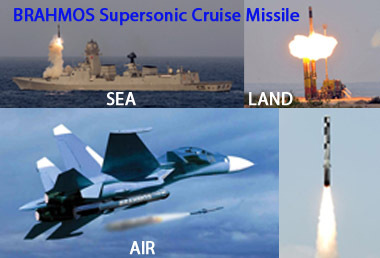 The proposal for fitting the Su-30MKIs was approved by the Cabinet Committee on Security in October 2012 with the decision that the IAF will get over 200 air-launched versions of the BrahMos missiles. The plan is to have at least 40 Su-30s fitted with BraMos missiles. 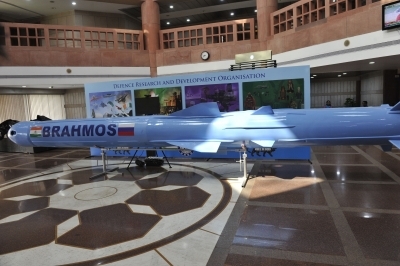 The BrahMos missile project is a joint venture between DRDO of India and Federal State Unitary Enterprise NPO Mashinostroyenia (NPOM) of Russia. It is a nuclear capable short- range supersonic cruise missile that can be launched from submarines ships aircraft or land.